Sapporo TV Tower is located at the eastern edge of Odori Park, which divides central Sapporo into northern and southern zones. From the 90m high observation deck visitors can enjoy beautiful seasonal views of Odori Park and the various events held there – in particular, Sapporo TV Tower is recommended as the best place to see the Sapporo Snow Festival and the park’s illuminated decorations in winter. 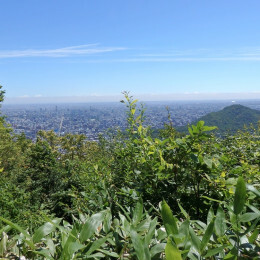 On clear days one can see as far as the Ishikari Plain and the Sea of Japan. For a romantic evening or special occassion, the observation deck can be rented for private use for 30 minutes after regular closing hours (reservation required).